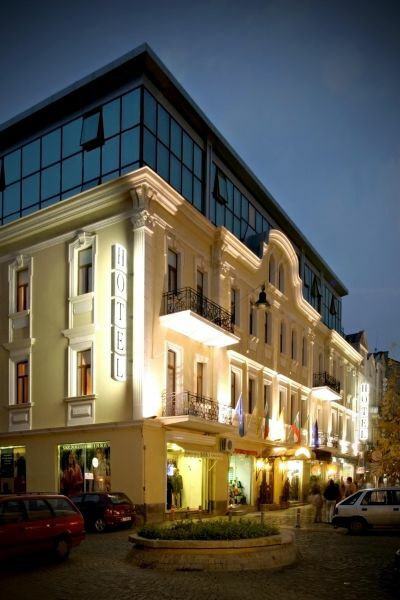 Hotel Sveta Sofia - Hotel - HOT OFFERS !!! CONTACT OUR RESERVATION DEPARTMENT FOR YOUR SPECIAL DISCOUNTS !!! HOT OFFERS !!! CONTACT OUR RESERVATION DEPARTMENT FOR YOUR SPECIAL DISCOUNTS !!! The Hotel is situated in a magnificent building displaying fabulous old style architecture from the end of the XIX century, completely renovated with modern and exquisite interior of hotel rooms, lobby bar and spacious lobby with wireless internet connection – free of charge for our guests. The building combines refinement, finesse, comfort and features all modern facilities. The hotel is comfortable both for your business trip and for acquainting yourself with the rich cultural and historical heritage of Bulgaria. There is number of museums, churches and ancient ruins on close proximity. Here you can find the best service with individual attention to each guest according to their wishes and requirements. Go to "Search" from the main menu, click the refresh button next to the search field to get the latest hotel catalog, enter the hotel name and download it.